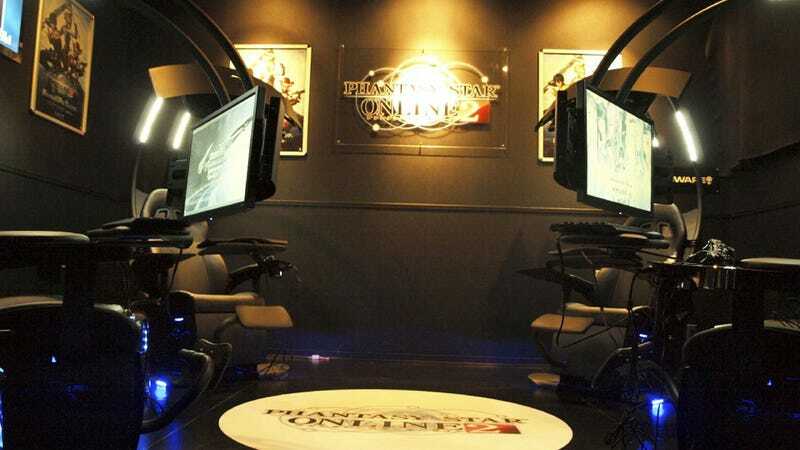 An internet cafe in Tokyo's Takadanobaba is rolling out a Phantasy Star Online 2 "Arks Briefing Room", which available for hourly rent. According to 4Gamer, the space is decked out with four, pricey Emperor 1510 gaming chairs, ALIENWARE Aurora ALX computers, and slick displays. Stunning. In case you missed it, here are Kotaku's impressions of Phantasy Star Online 2.